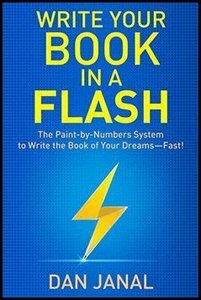 “Write Your Book in a Flash: A Paint-by-Numbers System to Write the Book of Your Dreams—FAST!” by Dan Janal provides readers with an easy to follow step-by-step guide on how to write a non-fiction business book. Janal gives readers a clear system for writing a book and provides several examples along the way. Whether you are a business executive, thought leader or entrepreneur, this book will act as your personal Virgil and show you the path to finishing that book you’ve always wanted to share with the world. Dan Janal has written more than a dozen books. 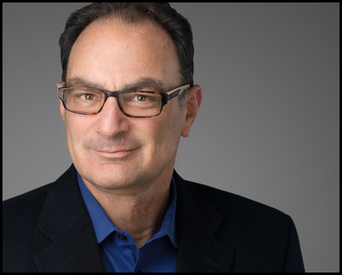 He is an award-winning daily newspaper reporter and business newspaper editor. He holds a master’s degrees in journalism from Northwestern University’s famed Medill School of Journalism. It is not uncommon for first-time writers to feel like imposters. They might think that there are better writers or smarter people in the world which is true, but that doesn’t mean you yourself aren’t smart or can’t write. You don’t have to be the smartest person in the world or write like Hemingway to be an author, if that were true almost no one would write books. And if you truly are a rotten writer, you can always hire a writing coach to guide you through the process, work with a ghostwriter or have a professional editor look over your drafts. Another obstacle writers will face on their journey to create a book is the self-doubt and limits they put on themselves. A writer might have the belief that they don’t have anything to say. If this or another limiting belief pops into your mind, Janal recommends that you come up with 5 reasons that prove the opposite. If you ever find yourself in a situation where self-doubt or limiting belief start taking over your head, remember to list 5 things you can do to overcome that limiting belief. When it comes to finishing your first draft, the most important part is getting it done. Janal says that writers shouldn’t expect their first draft to be a masterpiece. In fact, many of his first drafts are disorganized and filled with holes, but that is okay. However, it is only once you’ve completed the first draft that you can begin cleaning and polishing it. That is where editing comes in. But remember that writing and editing are two separate activities. During the editing process, your aim should be to cut useless words that dilute your message. It may be hard to cut words after putting in the time and sweat to write them, but Janal assures writers that it will make their book better. Janal says that for “Write Your Book In A Flash” he cut more than a thousand words from the first draft. “That” can usually be removed. If it sounds good without it, cut it. You can usually cut words like very, just, and only. So finish your first draft and get to editing! “Write Your Book in a Flash” does an excellent job of providing readers with a proven system for writing a business book. It doesn’t debate the pros and cons of self-publishing and traditional publishing, but instead, it shows people how to write the book that always wanted to share with the world. The book answers many questions first-time authors will have, such as how to outline their book and overcome imposter syndrome. Janal provides exercises to empower novice authors and examples to help readers who may be stuck in a rut. Overall, if you’re someone who would like to write a non-fiction business book, this book is worth picking up. After reading 100+ books, here are the books I recommend reading.